Storage devices today range from a small micro SD card for your camera all the way to a large server for a global corporation. These devices are not created equal and in many cases like a USB flash drive they may be manufactured in the same location but not built the same. With the mass production of hard drives today and even SSD devices (which we will discuss later in this article), are not even created equally. Storage devices today seem to fail (even solid-state drives) due to the nature of how they are built today. Storage devices will fail and eventually you will need some type of advanced data recovery services. Advanced data recovery is anything that software cannot handle. There are a lot of software online that can be purchased for minor data recovery procedures. However, some will find that after a scan that there is a tremendous amount of corruption on files. This is an indicator that something else is going on with the storage device and advanced data recovery will need to be performed to successfully extract the data from that device. When doing research online on data recovery procedures you will learn a lot. The hard part will be determining what step may be needed and how much money am I will to spend to attempt to recover the data myself. Honestly, I would not recommend this approach, not because we are a data recovery company and frown on this step, but due to the damage that can be caused when attempting to work on a storage device yourself. Therefore, there are advanced data recovery companies across the U.S. to perform this service for you. Data Recovery Cincinnati will have the proper tools to extract the data from many devices out there on the market today. Camera cards, USB flash drives, SSD devices, traditional hard drives and even cell phones. There are certain diagnostic tools that will be needed to properly determine what is wrong with the drive so not to waste a tremendous amount of time during the data recovery process. The diagnostic procedure is the most important due to properly determining what is needed and how much to charge for recovery fee. Yes, we understand that data recovery can be expensive but most do not fully understand what is needed to extract data from storage devices. There are advanced data recovery tools that need to be learned and properly utilized in this craft. Typical advanced data recovery tools are: The DeepSpar disk imager which is the work horse in performing a diagnostic test for a hard drive recovery. You can change algorithms on the hard drive to skip heads, image certain directions and perform a media test. These devices are expensive and difficult to learn how use. Not all hard drives have the same problems even manufacturers of hard drives will give off different symptoms. The PC3000 is another tool that is utilized in advanced data recovery clean rooms. Where the DeepSpar disk imager fails to extract data the PC3000 will step up the plate and go multiple steps further. This advanced data recovery tool is tremendous in looking at firmware, drive families, solving mechanical issues etc. You will find a PC3000 in every clean room across the country. This should indicate how important of a tool it is. Other advanced data recovery tools include microscopes, hot air rework stations, removing microchips and placing microchips on other boards. Finally, the most advanced data recovery tool not yet mentioned is the technician itself. Even with the most advanced data recovery tools on the market, the experienced technician will know what type of tool to use and what shortcuts to perform to get to the customers data. There are many ways to extract data from a device and knowing when and with what tool to use is paramount in data recovery. How we recover data from your computers hard drive! Advanced Data Recovery services available to all 50 states and Canada. 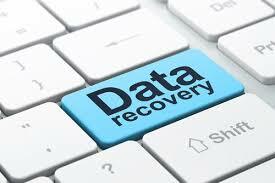 From Raid Recovery to flash drive data recovery, we can get your data back!